I’m always SUPER PASSIONATE about this topic. The reason being is because I SO want our children to heal, and for our world to shift out of narcissistic abuse patterns. I nearly lost my own son due to my and his trauma from narcissistic abuse, so I deeply know the loss, trauma and suffering so many parents have been through or are going through. There is nothing more devastating than watching our children be abused, neglected or manipulated and feeling POWERLESS to stop it. And, when reaching out to authorities for their help discovering, to our dismay and disbelief, that they often turn away and even further abuse us and our children. Is there anything that does work in this heartbreaking and devastating situation? Myself, and so many others, in this community, have turned around the most HOPELESSS situations you could imagine regarding what is happening to our children. This Thriver TV episode is for you and every parent suffering the unspeakable trauma of trying to help your children who are suffering narcissistic abuse. This topic today is very serious. 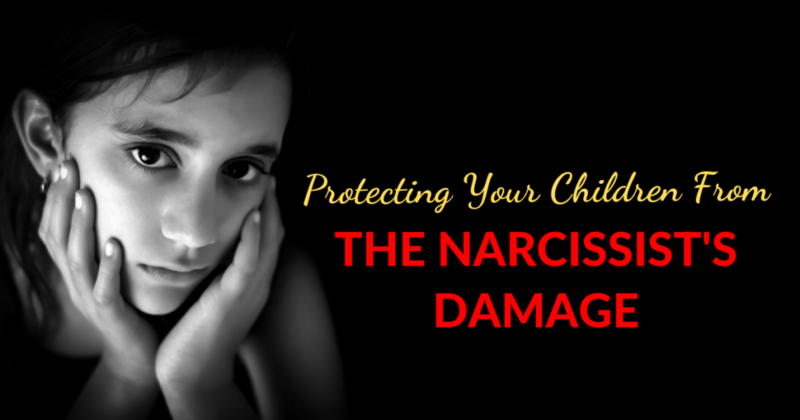 If you are a parent dealing with your child being hurt by a narcissist, I really want you to watch this. Our children are precious to us, they are innocent and defenceless, and it is up to us to protect them as much as we can. In today’s Thriver TV episode, I want to share with you why what we instinctively do to try to help our children doesn’t work with narcissists, and how to turn this around so that we can truly help our children. And I promise you this, after going through terrible events with my own son suffering as well as helping countless adults with their children over the last ten plus years, that what I am sharing with you today works and it’s not reliant on the narcissist changing or even other people helping you. You alone can set in motion what is necessary to protect and help your children. Okay … so before we dive deep into the meat of today’s episode, make sure to subscribe to my channel if you haven’t already and leave a like if you enjoy this video. I’m going to be really straight with you, and I know that this can be so hard to hear – but I want to do everything I can to help you and your children because I am so passionate about this topic. Our children are our future, and if we want narcissistic abuse to stop, the buck must stop here, so that this terrible scourge of abuse / abused it is not passed down through the generations. Of course, there is no greater trauma than watching our children suffer at the hands of another. I’ve been through it too, I know how agonising it is to feel completely powerless to stop your child being hurt. And, what usually happens to every parent going through this is, no matter how hard you try to help your child, or get them to see reason, or get systems and authorities to help, that just doesn’t happen. This is WHY we have to work with this ANOTHER way, a way that works. A Quantum Way, where we enlist the indisputable Laws of Life that are as absolute as gravity. I want you to know that when you do this, you aren’t powerless. But let’s first look at the ways we have been trying to help our children, ways that only make matters worse. These were all the things I used to do too. The first huge issue is being in JUDGEMENT of what is happening. And I know you may already be jumping up and down and wanting to throttle me, for me telling you this being in judgement to the horrible situation your children are going through with a narcissist is ‘wrong’. I’m not saying it is ‘wrong’ I totally understand why you would see it is ‘wrong’. I personally don’t give a damn about what is ‘right’ or ‘wrong’, I’m much more focused on what is going to be effective. What I am saying is you judging this as wrong is NOT going to help your child in any shape or form, which of course isn’t the result you want to produce. Let me explain why ‘judgement ‘doesn’t work. Whatever you are in judgement about you deeply cement further in your experience. Whatever you are in acceptance of and start working WITH to transform healthily, means you can change it. As well as, if you try to change anyone outside of you to make your emotions feel better it won’t work (including things with your children). And of course, this is the same with the narcissist when we have tried to stop them doing what they are doing to our children. It has certainly been my personal experience that when I tried to lecture and prescribe to my child, and control what he was or wasn’t doing, that he would only push back and do it more. It was the same with the narcissist. Can you as a parent relate? If so, I’d love to hear from you about this in the comments below! In Quantum Truth you have to shift YOUR feelings first and then everything can shift. You are in a position to be able to influence that person and situation to meet you where you already are at. This was my 100% proof of the truth of this (and I’ve seen the same happen for many parents with their children), when I let go of damning my son’s state because of the narcissistic abuse and damage he and I had gone through, and instead accepted that his and my soul journey was perfect for his and my healing and evolution, everything shifted. And then I got down to the business of deeply devoting and applying myself to my own inner healing to lead the way. It was then that I stopped being distraught, lecturing, prescribing and controlling, which of course had been coming from my own inner place of brokenness and helplessness. Instead, I started to show up for myself and my son seeing and believing deep within my soul that his innate inner wisdom could and would do the same. I recognised that his journey was unfolding perfectly for him, and my greatest duty was to be as healthy as I could and lead the way. With this orientation my son, Zac very quickly emerged from a hopeless situation of trauma fuelled addiction to awakening into his power. Not from a place of my ‘doingness’ but in response to my ‘beingness’. Telling them about ours and their victimisation and how bad other people are. All of the above only causes more of the pain and trauma that we and our children are stuck in. It increases victimisation, which then means more victimisation happen. So within, so without. I go into great detail in Chapter 18 in my book You Can Thrive after Narcissistic Abuse about my journey with Zac as well as the shift from Unconscious to Conscious Parenting. And I promise you this doesn’t just happen for older children, it can for younger ones too. The truth is at ANY age, where our energy goes is where our children’s energy goes too. It is vital that we focus determinedly on our own healing so that we can be the safe, solid, wise and calm parent who is there for our children. I love the aeroplane metaphor – about how we are told if the aeroplane loses oxygen to always put your oxygen mask on first before assisting anyone else. This is the worst mistake I see parents commonly make (and I made it too) they are trying to help their own children heal and get empowered when they are failing to take responsibility to lead by example. They are not first and foremost healing themselves. This is as dangerous for our children as it is someone trying to save another person when they themselves are suffocating and distressed. If we are devastated about what is happening to our child at the hand of a narcissist and we see and feel it like this, then this is exactly what will continue as the experience we experience from our children in our experience. It’s Quantum Law – so within, so without. However, if we have enough of our own healing underway, we are into a place of calm, power, and solidness that is much less distressing and destabilising than our previous victimhood. When we are sane and safe with enough oxygen (consciousness) then we are in a position to help our children for real. There is also the very real phenomenon of Quantum Entanglement meaning that where our energy goes our children’s does as well, often there is nothing we must do for them to get well, as we do ourselves, they organically do as well. And this has nothing to do with what the narcissist is or isn’t doing. What it means is even if our children are very young, they have the ability to navigate, be themselves, not be exploited by the narcissist as they were previously, and as they get older they are able to anchor into their own authenticity and true identity without the narcissist being able to derail them. No longer are they being personally poisoned by a False Self, they become a True Self, empowered, impervious to abuse and incredibly evolved, capable and flourishing. I wrote about Beatrice, a highly dedicated Narcissistic Abuse Recovery Program member, and her young son who she shares custody with a narcissist with, in my book on Page 228. “Two years ago I was a wreck; I had severe insomnia if I did sleep. At the time my son was given the labels of having ADHD, anxiety, depressive symptoms and much more. He was only twelve months old. Now he no longer has these ‘labels’, which were due to him being triggered terribly by trauma., and I can proudly say that at thirty-nine years of age, I’ve never been in better shape physically, mentally and emotionally myself. I really hope Beatrice’s story helps give you hope because we receive these messages of breakthroughs for parents and their children most days in the NARP Community. We accept and bless the growth lessons our children go through and support them with love and space, rather than judgement and control. We model for our children honesty, humility, authenticity, and vulnerability. We show our children by example how to anchor into and create a relationship with their inner selves. We teach our children detachment from unhealthy others without judgement, no longer handing our power away by making them responsible for ourselves. By example, we teach our children that their inner state and power doesn’t depend on what other people are or aren’t doing. We help them develop and grow into solid, whole actualised beings, beyond neediness, even for us! Truly we cannot take anyone where we have not gone ourselves. Are you really starting to understand this now? Gosh, I hope so because our and our children’s wellbeing, as well as their future generations, to evolve beyond abuse abused trauma patterns so depends on this! Please know your empowerment and leading the way helps for every situation your child may be facing regarding narcissistic abuse – such as a narcissistic friend, narcissistic boss or a narcissistic spouse. The formula is the same, heal yourself and how you feel about it and then you will find your child starts becoming what you now feel about them, coming into their true power, and/or will seek you for advice regarding their situation, where through your own empowerment you know how to guide them. Your child doesn’t have to live with you for this to happen, truly. Also please know this formula has also proved to be incredibly effective for parents who have been alienated from their children, in reaching peace and then being reunited through often the most miraculous of circumstances. Okay, so, I can’t wait to continue this discussion and answer your questions regarding this, because as I said this is a topic very dear to my heart. I’m deeply committed to helping us lead the way for our children and changing our world. If you are ready to take a stand for you and your children, I want to invite you to come over to my 16 Day free course, where you start healing you and your children and become the generative force leading the way. You can get this started by clicking this link. Okay so if you liked this video, click the like button, and if you want to see more of my videos subscribe and so you will be notified as soon as each new one is released. And please share with other parents this video, so that they can help their children for real too. 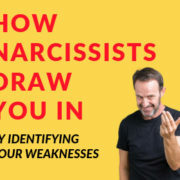 Do Narcissists Treat Their New Supply Differently? 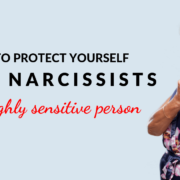 Can You Ever Be Safe From Narcissists?